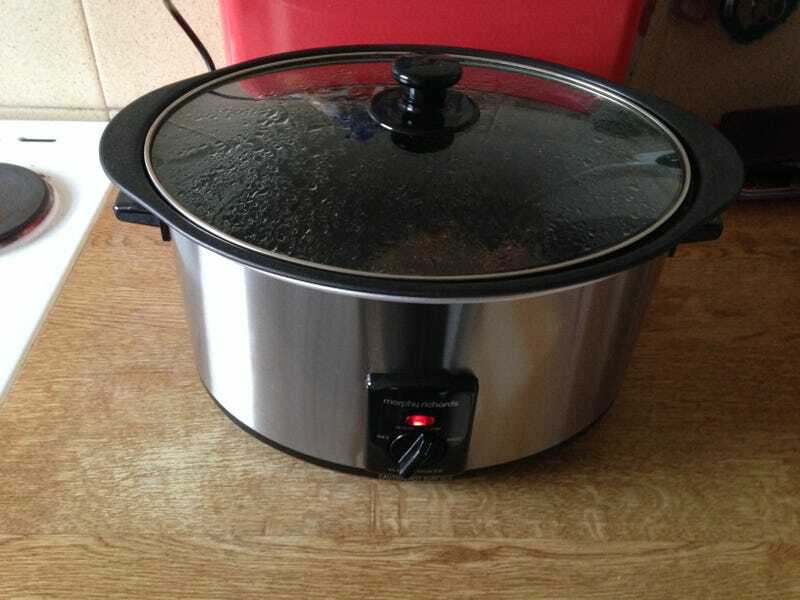 A bit over a year ago Sven sent me this slow cooker as a moving in gift. So he’ll be directly respsonsible for the awesome beef brisket I’m about to eat. Baby potatoes, cauliflower, broccoli, carrots and yorkshire puddings are also on the go.